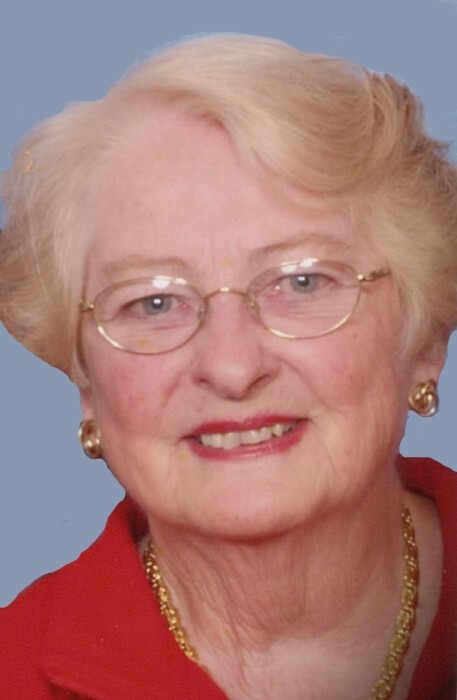 Nancy E. (Reynolds) Gookin, age 82, passed away in the Good Samaritan Medical Center in Brockton, Massachusetts on Saturday, January 19, 2019. Born in Brookline, Massachusetts on February 9, 1936, she was the daughter of the late Martin G. and Anna E. (McGovern) Reynolds. She was raised in Brookline, where she graduated from Saint Aiden’s Catholic High School with the Class of 1954. Following graduation, Nancy enrolled in Wyndham Secretarial School in Boston, earning her certificate in 1955. Nancy married her beloved husband, James J. Gookin, on July 4, 1958 in Saint Theresa’s Church in West Roxbury. The young couple made their home in Walpole, Massachusetts, where Nancy took on the role of a homemaker, raising and caring for her family. Once her children had grown up, Nancy returned to the working world, taking a clerk’s position with the Commonwealth of Massachusetts’s Department of Corrections in the Walpole Prison. She retired from the Department of Corrections in 2000, after 16 years of dedicated service. In her retirement, Nancy made her home in Hobe Sound, Florida. Throughout her life, Nancy enjoyed visiting the beaches of Cape Cod and the Lakes Region of New Hampshire. As an avid reader, she could always be found with a good book while traveling. Back at home, Nancy loved cheering for the Boston Red Sox and New England Patriots. Most of all, she was dedicated to her family and especially enjoyed time when she was surrounded by her grandchildren. Beloved wife of the late James J. Gookin. Loving mother of James J. Gookin, Jr. and his wife Regina of Colorado, Christopher J. Gookin and his life companion Cathy Swenson of Maine, Patricia A. Cody and her husband John of Stoughton, and Stacey M. Maglione and her fiancé Henry Morse of Old Orchard Beach, Maine. Cherished grandmother of Adrian, Nicole, James, Noreen, John, Brittney, Krista, and Kelsey, and great grandmother of Raina, Vincent, Varian, Lorelei, and Irelyn. Sister of John Reynolds and his wife Stella of Palm City, Florida, Mary Ford of Hobe Sound, Florida, and Claire Reynolds of Hobe Sound, Florida. Relatives and friends are kindly invited to attend Nancy’s Life Celebration on Monday, January 28, 2019 from 4 to 8 PM and Tuesday, January 29, 2019 from 9 to 9:30 AM in the James H. Delaney & Son Funeral Home, 48 Common Street, Walpole. A Mass of Christian Burial will be celebrated in Blessed Sacrament Church, 10 Diamond Street, Walpole on Tuesday, January 29, 2019 at 10:00 AM. Interment will follow in Saint Francis Cemetery in Walpole. In lieu of flowers, memorial donations may be made to Catholic Charities, 2050 Ballenger Avenue, Suite 400, Alexandria, VA 22314.